Shop All Ice SkatesExplore ice skates, figure skates, and hockey skates of all brands. How to measure your feet to choose the proper ice skates size? Apply Now 5% OFF and Free Shipping. How to choose right Jackson Ultima ice skates size? There are 3 steps that you should know. Gather paper (legal size is good for most adults), a pencil, and a long ruler or tape measure. Trace feet in the evening, after the feet, have swollen to their maximum size. 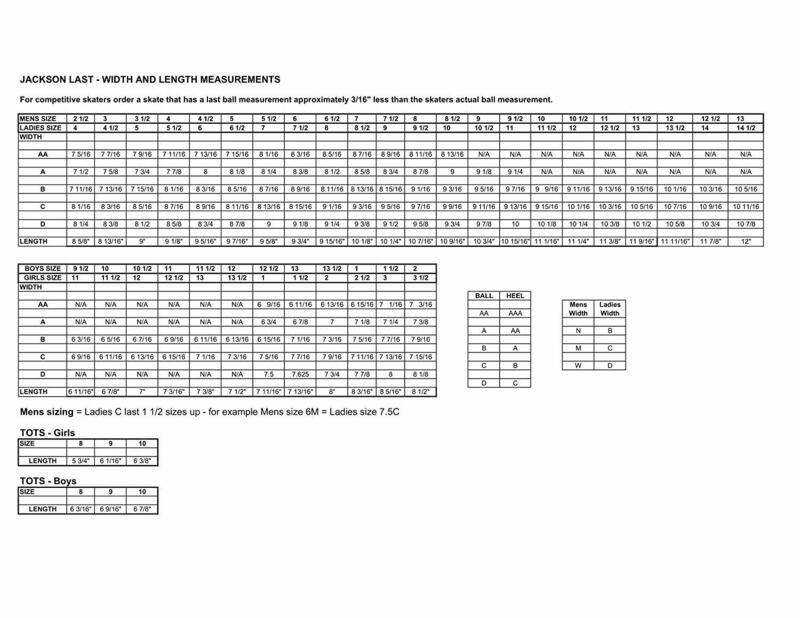 Keep in mind different ice skating brands have different sizing charts. 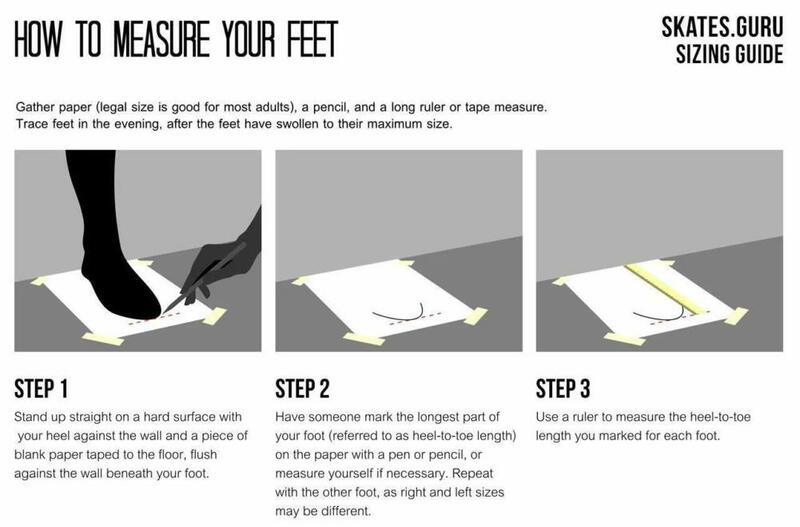 Have someone mark the longest part of your foot (referred to as heel-to-toe length) on the paper with a pen or pencil, or measure yourself if necessary. Repeat with the other foot, right and left sizes may be different. Use a ruler to measure the heel-to-toe length you marked for each foot. The Jackson Ultima Marquis JS1993 Kids. Jackson Ultima has spent decades working on product innovation as their skates continue to gradually improve over time. Considered among the best and most competitive companies for skate production in the world, the team behind the company brings more than 90 years experience to every skate they design and make. This includes a wide range of skates not only for adults, but for kids as well. The Jackson Ultima Marquis JS1993 Kids skates are made for skaters with an intermediate level of skill on the ice. Designed for smaller feet, they are none-the-less made with the same precision care that has defined every product released by Jackson Ultima. Including design elements from past models and marketed as the top of the line children’s skates, it is hard to go wrong with a pair of JS1993 skates. The JS1993 skates incorporate several design elements that when come together offer a relaxing, straightforward skating experience. Taking guesswork and uncertainty out of maintenance and ensuring a higher level of durability, the JS1993 can be seen as an investment in a pair of skates that will not ware down easily. Key features of these skates include the improved foam backed all leather tongue that provides superior comfort. The covered hooks help to eliminate annoying ankle irritation. Care is made simple with the stylized pvc outsole. Sold in black, you get professional skates that offer the comfort and control any young athlete needs to push their skills to the next level. Last but not least, the Ultima Mirage all purpose blades attached comes attached with screws. The JS1993 skates are priced at $199.95 on skates.guru and are offered in sizes 1,medium 1.5, 2, medium 2.5, 3, medium 3.5, 4, and medium 4.5. Be sure to check the size charts to find the exact fit for a superior skating experience. The Jackson Ultima Marquis JS1993 Kids is the perfect skates for those with experience who want skates that provide superior performance and comfort while not skipping out on durability. Price: $199.95 & FREE Shipping. I had to buy some ice skates for myself, I ordered them with Skate Guru, they were very friendly and the delivery was extremely fast. The product I received is of good quality with respect to the price. There are almost no ice skates of my measurement but they had them, I will definitely order again with you. I loved his work and his kindness. So easy to find ice skates that what was needed and very easy to order. Without issues. Swift delivery. Great customer service! I very appreciate for advice and that ice skates is so great! Simple ordering experience. Package arrived right on time. They always have a great selection of ice skates. Great ice skates!! They are perfectly fit and very comfortable. Shipping was inexpensive and I received my item in unexpectedly short time. My daughter has been doing figure skating for years. couple of times i ordered through skatesguru. i loved their products. amazing customer service. highly recommended. These guys are experts in ice skating. They have a good selection of products. I am very unhappy with a website! Their website shows that all sizes are available and you actually put stuff in a cart and buy them and then 2 days later you will have an email saying sorry this item is out of stock! Well you will get a refund. No worries! But how frustrating is that! To buy, wait and then get refund. And don't even try to reach customer service representatives by phone. Write emails and be ready to wait 1-2 days before they respond. So if you ever decide to order anything from this guru site first talk to them via email FIRST to check if they REALLY have this item AVAILABLE.